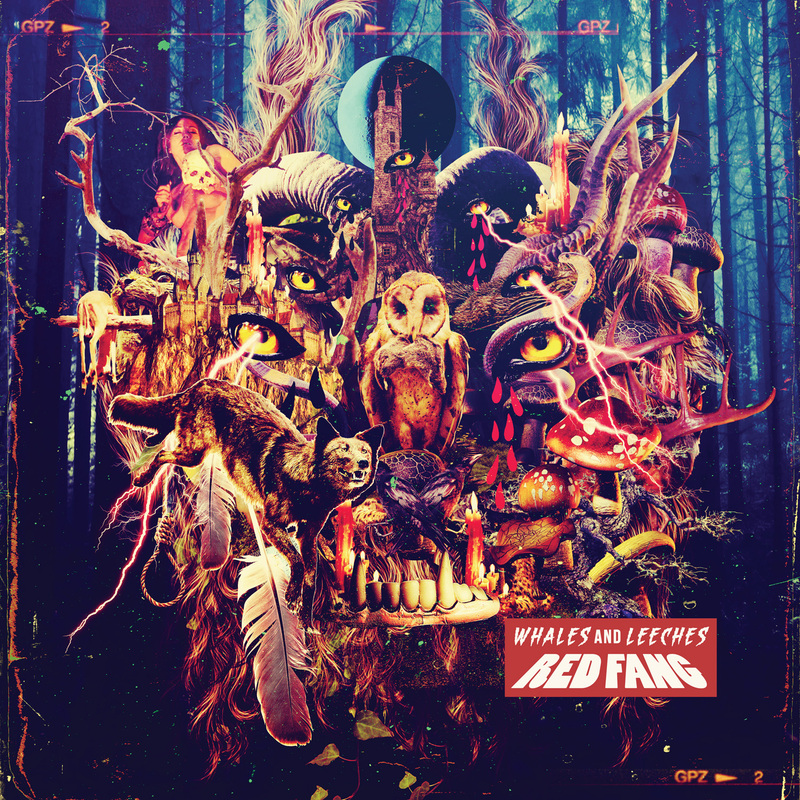 The track “Behind the Light” on Red Fang‘s third album, Whales and Leeches, paints a fairly grim picture. Lyrics like, “It’s so insane to be alone/With all the time I gave away,” fit neatly with the classic rock and roll notion of the weary traveler, the artist who, having given up what commonly passes for a normal existence for his craft, wonders what could’ve been. With as much time as the Portland, Oregon, four-piece spent on the road supporting their 2011 sophomore outing and Chris Funk-produced Relapse Records label debut, Murder the Mountains (review here), no doubt the band has had some opportunity to stew on it, and for being known essentially for a party atmosphere and ridiculously catchy songs like “Wires” from the last album or “Prehistoric Dog” from their 2008 self-titled debut — they have a propensity for putting the hooks up front, and “Blood Like Cream” from the latest continues the trend — “Behind the Light” presents something of a departure in atmosphere. It’s the centerpiece and emotional low of Whales and Leeches, which the band returned to Funk to produce after what seems to have been a hurried songwriting process — deadlines to meet — and it’s followed by the record’s greatest triumph, “Dawn Rising,” on which YOB‘s Mike Scheidt guests on vocals alongside Red Fang bassist/vocalist Aaron Beam. Though “1516” provides some of his best tradeoffs to date with guitarist/vocalist Bryan Giles, Beam is featured more prominently throughout Whales and Leeches than anything Red Fang has done up till now, and his voice — in a somewhat cleaner approach than Giles‘ shouts — stands up to the dynamic both with the guitarist and within the emotionality of his own presentation, be it “Behind the Light,” the driving forward thrust of “Voices of the Dead” or the semi-psychedelic capstone(r) “Every Little Twist.” Of course, it’s the versatility of Beam, Giles, guitarist/vocalist David Sullivan and drummer John Sherman at the core of what gives Red Fang their personality. The difference this time appears to have been that Beam stepped forward to meet the challenge of the rush to put the album together. So be it. 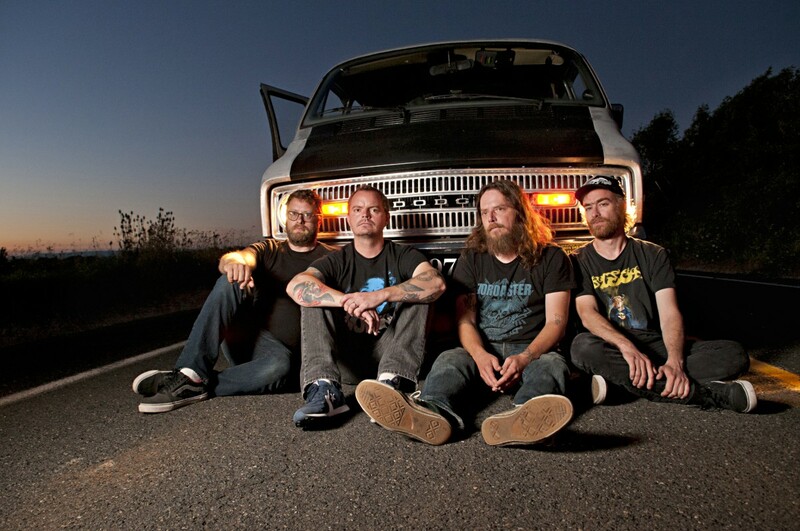 If Red Fang were in a hurry, at least it was for a good cause. They took a break from songwriting to play Soundwave in Australia earlier this year, and have already toured the West Coast in support of Whales and Leeches with East Coast dates to follow next month and Europe in 2014 continuing a road-dog touring cycle that hardly seems to have stopped at all since before Murder the Mountains was released. Turn around and he’s Red Fang with another three weeks’ worth of dates in one region or another. At least thus far, it’s much the same for Whales and Leeches, and in talking to Beam about the album, I was interested to get a notion from him of where he thought it was all heading and what his vision of “success” was for the band. 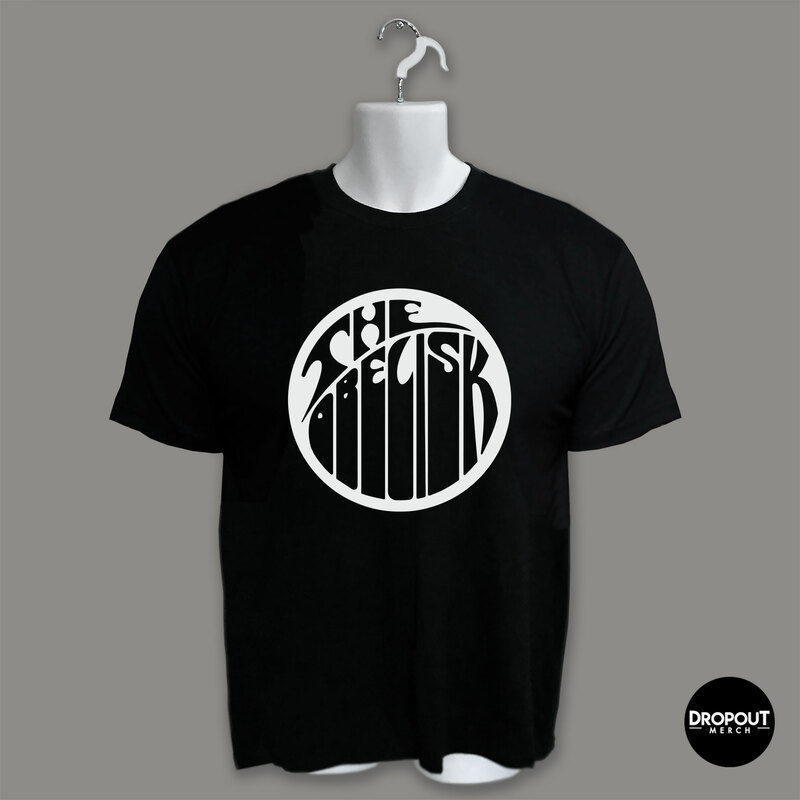 Particularly as he’s emerged in this material — not quite to a frontman role, but not far from it — I was curious to see where he felt it’s all been leading, what it is keeping them moving forward other than the obvious need to sell shirts on tour. When we spoke, Beam was in New York City to do East Coast press. He’d flown in overnight from Portland and you could hear in his voice that specific I’ve-recently-been-in-an-airport exhaustion. Nonetheless, he spoke not only about his and the band’s motivations, but about the construction and recording of Whales and Leeches, his growing comfort as a singer, the prospect of spending most of 2014 on tour, and much more. Yeah, we just got in this morning. Did you take an overnight flight or something? Yeah. I actually was camping up in the mountains in Oregon and came back to town, got my stuff straight and flew out to the airport out here, arrived about seven in the morning, which is four in the morning our time. Feelin’ pretty good. Enjoy the coffee, I guess. When did you actually start writing for the new album? We had a lot of pieces that had been written a long time ago. Various parts from songs that are probably six years old. But the real writing actually started, I would say, middle of January or so of this year. So we had a good about two and a half, three months, to write. We had to tour in the middle of that. We went down to Australia and played Soundwave, so that interrupted a little bit, but yeah. January doesn’t seem like that long ago. Did things come together quickly? Actually, it was kind of typical of any kind of project where you have a pretty big project and a deadline looming. You sort of procrastinate until the last minute and then realize, “Oh wait, we only have three days until we have to do this and we only have six songs.” It wasn’t quite that drastic, but we definitely finished up a lot of songs pretty quickly, the last couple, two, three weeks or so. But like I said, we sort of had parts laid out, we just hadn’t solidified things into songs, so that’s what we were doing. Not even writing new songs, but trying to come up with parts and arrangements that worked. How important was it for you to go back to Chris Funk? It was hugely important. Because of that timeframe, because we didn’t have a lot of leisure time for messing around with songs on our own and tweaking them and/or belaboring them I guess some people might say, we knew it was going to be more stressful trying to write a record that way, so we tried to eliminate as many variables as we could. We didn’t want to be going into a brand new studio with a producer we didn’t know and try to figure out personalities and at the same time not necessarily being as confident about the songs since a lot of them came down to the wire, so we used the same engineer and the same studio for basic tracks, Chris Funk was the same of course, and we also mixed it with Vance Powell again. We did as much of it the same as we could. Was that something you wanted to do purposefully, get as similar an experience as you could to Murder the Mountains? and we’re really happy with the way Murder the Mountains sounded too. We had no complaints in that regard, so we wanted to keep things consistent, because why change now? Who knows what we’ll do for the next one, but for this one, that was the way we wanted to go. How much of a role did he play in helping you guys put those unfinished or unpolished parts together to get the final products of the songs? He helped out with probably, I’m thinking maybe two or three songs, one of which I think didn’t end up on the record. Maybe three. I think he did a little digital edit of the very first song, “DOEN,” which I’m sure everybody’s gonna think is called “doin’,” but it’s actually “doh-in’.” He did a rough edit of that of a practice tape we sent to him that we liked better than our arrangement, and then he kind of had some input on the second track, “Blood Like Cream.” I’m trying to think of what else. There was another song that didn’t make the cut, because he was like, “Just do it the way you had it on the demo,” and we tried that and it wasn’t really working for us, so hopefully that’ll come out on the next record. You mentioned “Blood Like Cream.” When you’re putting a song like that together, especially post-“Wires” and things like that, do you know how insanely catchy it is as you’re writing it? Does it get stuck in your own head? Oh for sure, yeah. It’s hard to avoid, because we play them so many times that it invariably gets – even the non-catchy songs get stuck in your head, but you know which ones are the really catchy ones because they’re the ones you can’t help but find yourself singing all the time where you go, “Whoops, sorry everybody” (laughs). Your vocals throughout the album: I thought Murder the Mountains was a big step from the self-titled, and here they sound very clear. You sound more in command of your voice. Do you feel more confident singing? I think I felt pretty confident when I was doing Murder the Mountains. I was probably over-confident. But it’s just like, being on tour as much as we have, I just have naturally got better at singing, just from the practice. Back then, when we recorded Murder the Mountains, that was really before we started doing a lot of touring, and so it was probably kind of like going in cold for doing the vocals. But we’ve had plenty of time, a year and a half, two years, to warm up for this record, so yeah, it just means you can do things faster when you have more control of your voice, so if you don’t like the way something turned out, you can go back and try to fix it and you know you can do things a different way, where with the other one, it was kind of like, “Well, that’s the way I sound when I sing, so that’s the take.” Now, having gotten as much practice on the road as I have, I feel like I can spend a little more time fine-tuning stuff. If I don’t like the way a certain syllable sounds, I can actually go back and fix it. Your two voices work together really well. I was surprised. 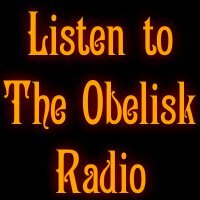 He just cut all of his vocals by himself at first, and then we tried to add me back in, just harmonizing and singing in unison, and it didn’t really work, so we said, “Let’s try to do more like a traditional duet and see how that goes,” and I think it actually works the best that way. That track has a different kind of feel, and listening to Red Fang, you can usually tell there’s more than one songwriter at work. Can you talk about how your relationship creatively has changed with Bryan and David and John? The relationship between us hasn’t necessarily changed that much. What changes is who’s more or less inspired from one day to the next. On the very first record, it seemed like Bryan moved back up to Portland and started playing with the other three of us – we’d been just jamming in the basement and coming up with these aimless stoner riffs or whatever – and he just had a whole stockpile of songs of whatever his experiences were in San Diego, and we kind of went with that. The second record was more all of us giving input, and this one, obviously, there’s a lot more of my singing on there even than Murder the Mountains. It’s just whoever had the most coffee would take over sometimes (laughs). It’s more about the balance of however much of a flavor we’re adding is kind of dependent on our mood from one day to the next. That’s the only thing that I would say changes. 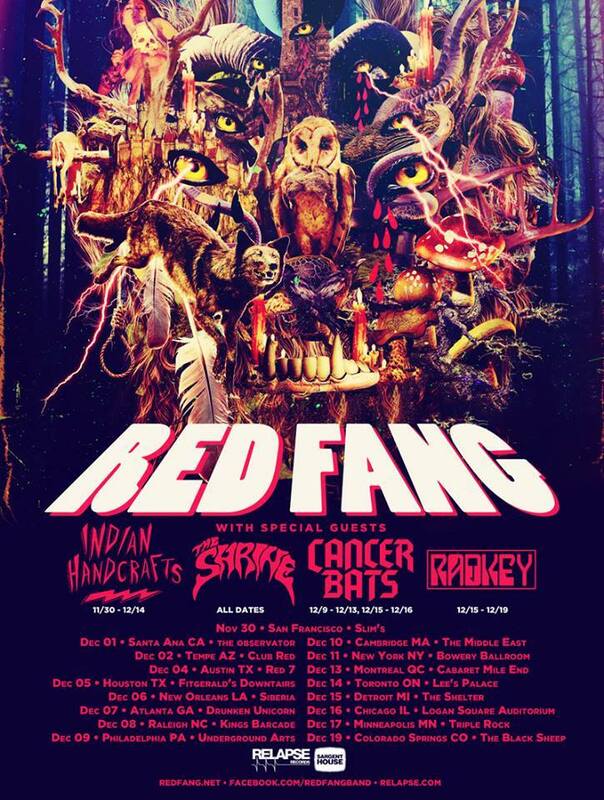 You’ve done all this work on the road, every video you guys put out gets a lot of attention, and Red Fang has come up a lot over the last couple years as a result of this work. 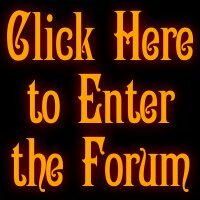 How at this point do you define success for the band? What would make this album successful in your mind? I don’t know. I don’t really have any kind of specific definition for what success would be. I guess that we’re all happy with it, and that’s kind of the most important thing. If I can listen to it in six months and not be disgusted, that’s pretty successful, but of course when we’re out on the road and playing shows, you always feel a little better when there’s as many people at the show as last time, or people are as excited as they were the time before. We so far haven’t really encountered so much of attendance or enthusiasm dropping off, but I’ll get back to you when it does happen. For me, that’s the goal, to maintain where we are, if not… I know that other people of course have aspirations to get bigger and bigger, and that would be fine, but really for me right now, as long as we can maintain the lifestyle that we have, that’s a success, but if we can’t, so be it. None of us are gonna be crying into our beers if we have to go back to our dayjobs. And obviously you’re starting the tour cycle over again. Do you know how long this cycle’s going to be? Oh yeah. We’ve already got the first leg of our fall tour booked. It’s going to be West Coast. Then we’re going to come out and do East Coast and the middle part of the country a little later on, probably November or something, then we’re going to go back to Europe and do two different legs over there in probably late January, early February, then March. It’s not all solid yet, but that’s the general plan. We’d like to get up to Canada, then hopefully get back to Australia at some point, and we’d really love to do just a week in South America, then probably come back and do the US and Europe again. It’ll be busy in 2014 for sure. Is that daunting for you, to look forward and see, okay, I’m on the road for the next year? Or are you used to it at this point? we’re out and how much we’re home, so that we’re not doing really long stretches all at once. That’s really the stressful thing, being gone for more than three or four weeks at a time can wreak havoc on your home life, and it’s not really good for us mentally. We’re all around 40 years old, so we don’t have the energy of a 22 year old, and we have more responsibilities at home than I think some other kids might have. I have a wife and a son at home and John’s married and so it’s just not as fun being away as much as if we were a lot younger. 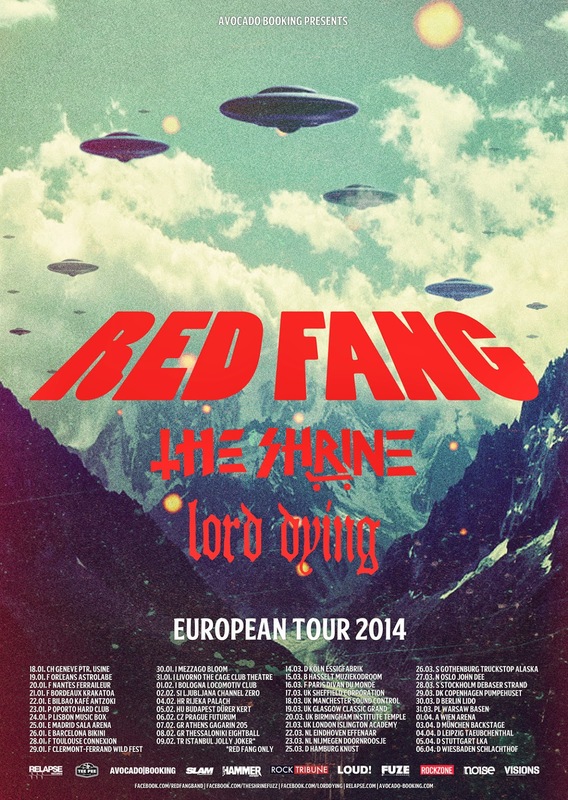 At the same time, being able to go to Australia to play Soundwave, or playing Roadburn – did you have any idea when you started out as Red Fang that you’d be at the level you are doing these things? Oh no. No way. My goal with this band, because I know that David and John and Bryan – let me just back up and say there’s no point at which I’m like, “Oh man, I hate having to go to Europe again.” It is hard with the home life, but yeah, of course I wouldn’t trade this job for any other one, and I love the opportunity to go to all these places. No, there’s no way that we ever expected to be able to go anywhere at all. My goal, really, when I joined the band and started playing with these guys, they had all done a lot of touring around the US for years and years and I had only really done two tours up to that point and I was like 35, so for me it was just to be able to do one real US tour was kind of the goal, so everything beyond that has been just gravy. I didn’t want to say gravy, but I couldn’t think of another word. Tomato sauce. But some people call that gravy. 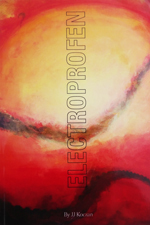 This entry was posted	on Friday, November 22nd, 2013 at 10:42 am	and is filed under Features. You can follow any responses to this entry through the RSS 2.0 feed. You can leave a response, or trackback from your own site.